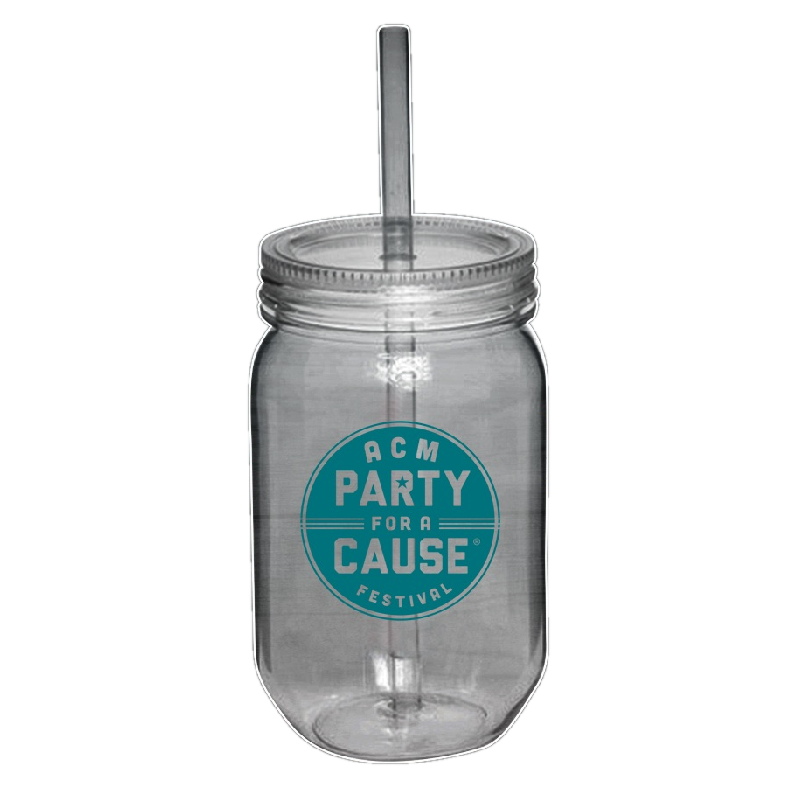 Clear acrylic mason jar with lid and straw! Party For A Cause logo! What is Party For A Cause? Click Here!